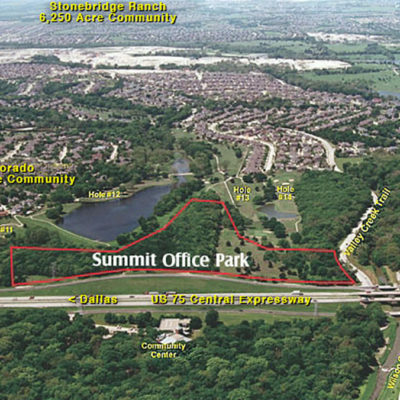 Summit Park is a 17.1 acre office park located on Central Expressway in McKinney, Texas. 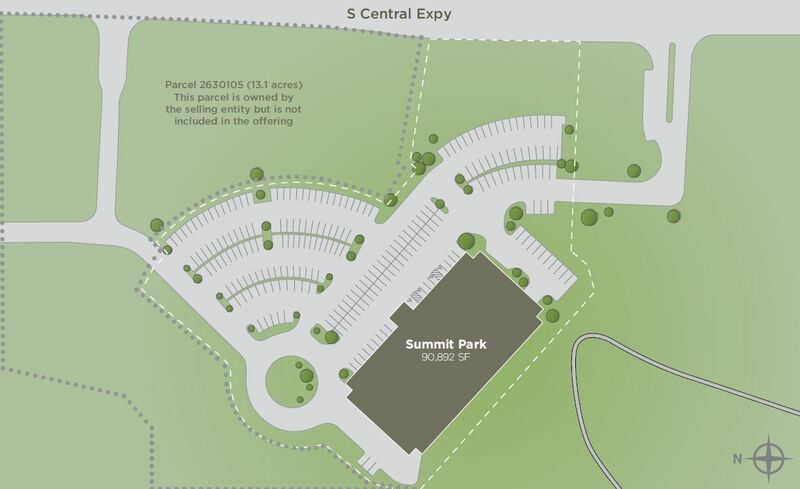 Three entries provide access to the site with landscaped entrances off Valley Creek Trail and the service road for Central Expressway. Because the site is located on one of the highest elevations in the area, visibility of the project is outstanding. 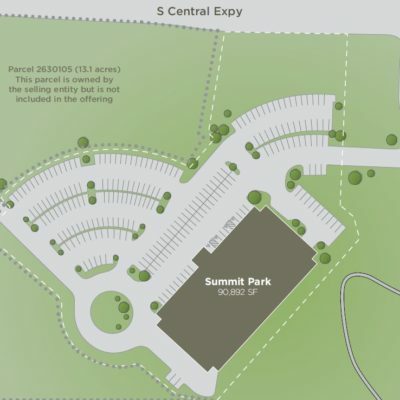 Summit Park is an outstanding site due to its many unique characteristics. It has approximately 60 feet in elevation change throughout. The property has outstanding views across Eldorado Country Club's golf course and two large lakes. 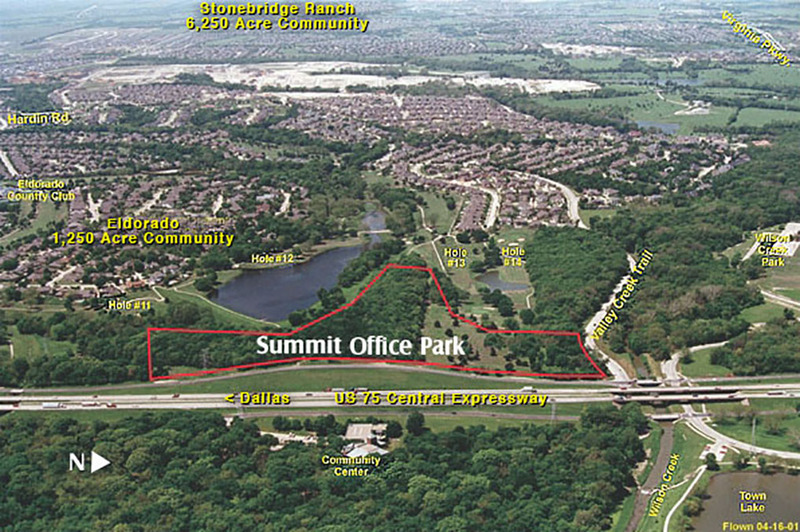 This freeway visibility and access along with outstanding views and site amenities makes this location unique in the Dallas Ft. Worth Metroplex. 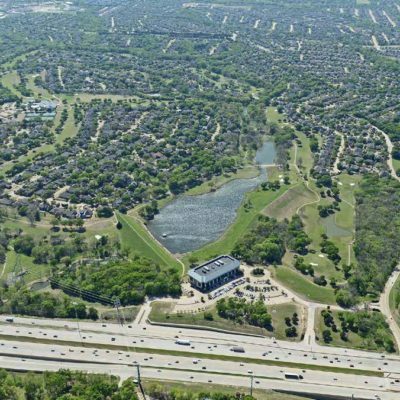 McKinney Texas is one of the fastest growing cities in America. 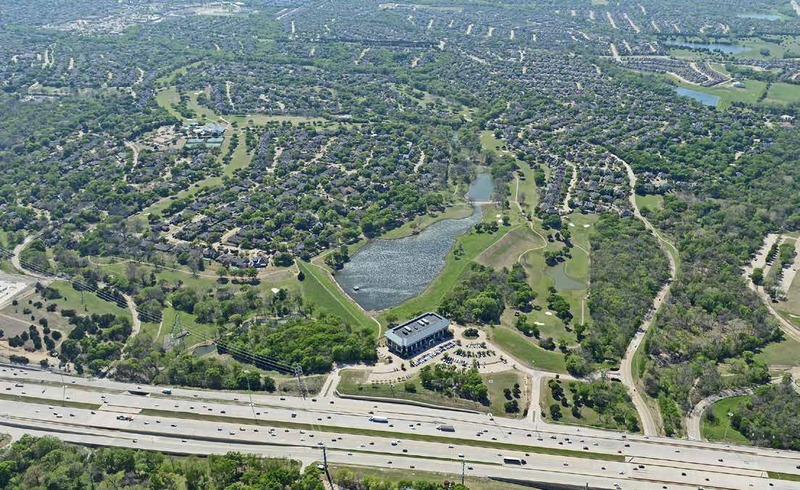 Located thirty miles north of downtown Dallas the City has a median resident age of 30.6 and is projected to grow from its current population to a population of over 200,000 by 2020.